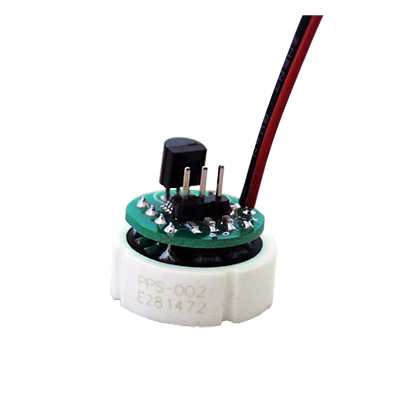 We are looking for a Pressure Transmitter with current output (4...20mA). We want to measure dusty air with maximum 400mbar. So we would need a Transmitter with diaphragm. The best product for us would be the SS311 series. Do you have this sensor with pressure range 0...1 bar? Do you have any other sensor series with diaphragm and 4...20mA output? which could be used in such low pressure range? The PS100E03 series looks really good. We would like to test 14pcs of the PS100E03 A 01 B, How long are the connection cables of this sensor? Can you please inform us, how much 14pcs would cost an how fast you could send this products to us? We are really in hurry to get forward with our testing. The sensor is used with a machine, the machine brings isolation material into Walls. The machine gets pressd onto the wall element and the material gets to the machine with compressed air. Medium is air with cellulose (paper) We have to get the pressure in the machine. The pressure can be from athmospheric pressure to a maximum of 350mbar (35kpa). The main pressure range we measure is from 20mbar (2kpa) to 50mbar (5kpa). In the moment we use a sensor with range from 0...1 bar. The accuracy is ok. Temperature can be from 30 to 50°Can you deliver this sensors with longer Cable? We would need at least 15cm. 1, the ss311 series only available with 4 ranges 10bar, 16bar, 25bar, 40bar now. Sendo Sensor, a well-know brand from China, focus on the pressure sensor manufacture, the best partner for your applications.